Chicago : A minimally invasive procedure to replace the aortic heart valve is superior to open surgery for patients with an intermediate risk of complications, according to a study that could pave the way for wider use of the approach. Patients who received the less-invasive implant had fewer strokes and a lower mortality rate after one year than those whose valve was replaced through open heart surgery, the Sapien 3 study showed. The procedure, called transcatheter aortic valve replacement (TAVR), is currently available only for patients considered unlikely to survive open heart surgery or at high risk for complications. The new data, presented Sunday at the American College of Cardiology meeting in Chicago, will be used to seek U.S. regulatory approval for Edwards Lifesciences’ Sapien 3 valve in patients deemed at intermediate risk for complications with open heart surgery. “It seems likely that TAVR will become the new benchmark for the treatment of severe aortic stenosis in intermediate-risk patients,” Dr. Vinod Thourani, professor at Emory University School of Medicine and a lead investigator for the study, said in an interview. TAVR involves threading the valve into place through blood vessels using a catheter. Medtronic Plc also sells TAVR systems in the United States. 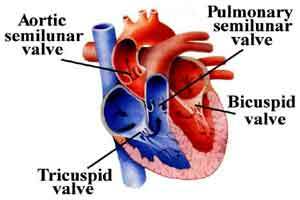 The Sapien 3 study found that 4.6 percent of patients who received Edwards’ valve had a stroke and 7.4 percent died within a year of their procedure. Among surgery patients, 8.2 percent suffered a stroke and 13 percent died. Surgery resulted in less valve leakage, or aortic regurgitation, than TAVR, but few people in either group experienced the complication, which affected 1.5 percent of the TAVR patients, Thourani said. The Sapien 3 study compared 1,078 TAVR patients with outcomes for 944 patients who had open heart surgery in a related trial called Partner II. The Partner II study, presented on Saturday, showed Edwards’ older-model Sapien XT valve was as effective as surgery in intermediate-risk patients. Edwards expects U.S. regulators to review data from both studies to approve an expanded indication for the Sapien 3 valve before the end of the year, Chief Executive Michael Mussallem said in an interview. “The only option up until now has been open surgery, which is very effective, but many patients would not opt for that,” he said. Approval would more than double the pool of patients eligible for the catheter-based approach, Mussallem said.